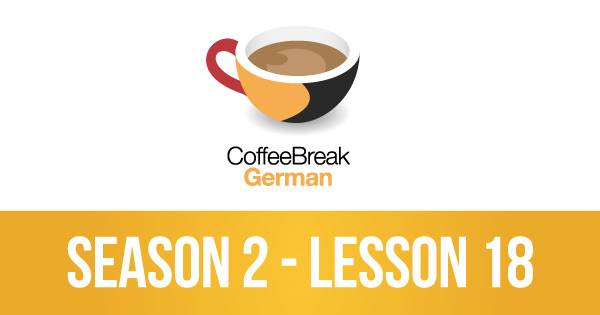 This episode of Coffee Break German introduces the verbs sein and haben and how they are used in the past. In fact, these verbs use a different tense, the Präteritum, or “imperfect” as it is often referred to in English. You’ll learn to conjugate the imperfect of sein and haben and how to use it in a variety of situations. PrevPreviousCBI 2.17 | Abbiamo visto tutto! Thanks for pointing this out, Adam. We’ve changed the title – unfortunately we can’t change the link but hopefully the title change is the most important thing. Apologies for the slow reply – we’ve been updating the site. The PDFs are only available through the Coffee Break Academy as part of our premium course. Is this where you’ve downloaded them? If not, then unfortunately you’re using pirated copies.